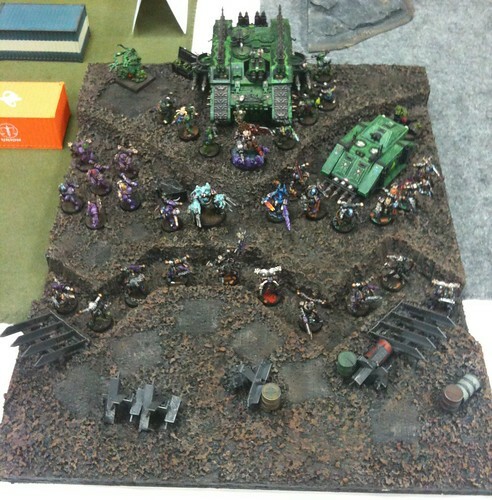 I find myself with less and less opportunities to play a game of Warhammer 40,000. I also am more and more of the old school that advocates painting your army and playing for fun rather than pushing unpainted plastic around proxied as god knows what in an attempt to win at all cost. I'm so old school I didn't even know what WAAC stood for until someone told me. My old tactical advice was written for previous versions of the Chaos Codex and previous versions of Warhammer 40,000. It is now 2018 and the last game I played was with the old rules, maybe even the old old rules, it was in 2014. The Diseased Sons may yet take the field again. Normally I don't like busted links and I was content to let my old articles on army selection and ingame strategy just die, but then I got it in my head to update the old HTML behind this website, I guess that is what passes for post-game strategizing these days. Bolter and Chainsword has a Nurgle specific sub-forum now they seem to be having some tech problems. They also cover the other chaos powers as well as provide painting advice, even rumors if that is your thing. Now a bunch of other websites that weren't around back in the day are apparently go to sources for all things 40K including tactics for using these models in the latest edition (the 8th) of Warhammer 40,000. If you really want to know how I play or played 40K you can read some of the many battle reports I've typed up, remember the rules have changed.